With the new year quickly approaching, it’s a good time to think ahead to what we really want to focus on for ourselves (I know that I preach selfless acts a lot, but we also need to think about what’s best for us). It’s easy to look back at 2016 and reflect on what we did wrong, or where we went astray. That’s important, for sure. It’s equally important, though, that we look at where we are right now and focus on what we want or need to refine or change in the next 12 months. One way to do this is by creating a vision tile for 2017. The tile above was created by a few of my students about 6 years ago, but it serves as a testament for capturing a bit of self-love and vision for what we want for ourselves in our immediate future. 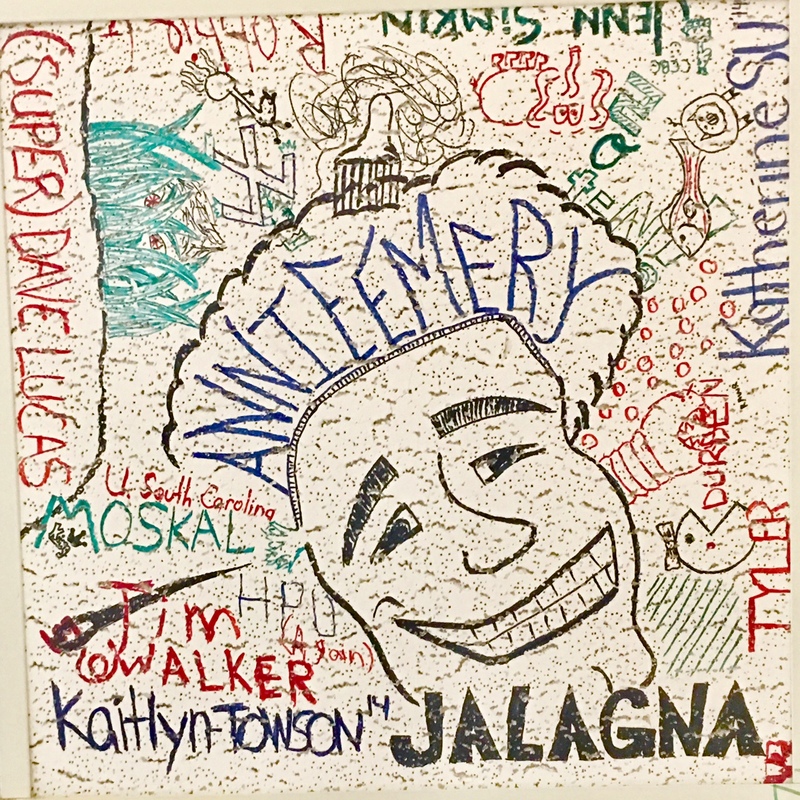 Whether you are (Super) Dave or Jalagna, you’ve made a statement that you are proud of. So what’s in your creative vision statement for 2017? First, brainstorm a list of what goals and dreams you want to experience in 2017. Find words, pictures, and images that capture the essence of what you want to achieve. Second, find a square paper, card stock, or even ceramic tile and design a powerful layout. You might want to begin with a skeletal mandala frame (see below) that gives you some real focus and forward motion in reaching your vision. Third, be creative in your layout and don’t be afraid to bring your vision to life. Use every inch of the tile to capture the essence of the 2017 YOU. 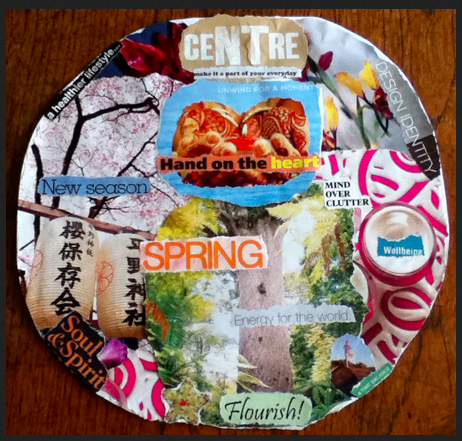 Here’s one sample of a polished vision mandala that focuses on new energy for the new season. You can really see the swirl of movement and motion showcasing the interconnectedness with the various elements. Finally, put the polished vision tile in a prominent place where you can keep your vision present. Take a photo of it and make it the wallpaper on your laptop, phone, or tablet. Keep focused on your vision for 2017, and capture the energy and possibility of what certainly awaits for you — if you visualize it!